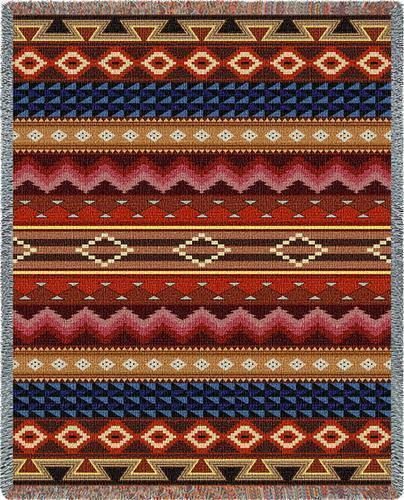 "NAVAJO Tapestry Throw" This southwest design was designed by one of our in house artists. The colors in this are sure to add warmth to any southwest style decor. Woven on Jacquard looms. Cotton. Measures 54" Wide x 70" Long. PLEASE NOTE: Shipping ONLY within the continental U.S. **Hawaii, Alaska, and Puerto Rico must contact seller for shipping quote before ordering.